What makes a great room? Is it the eye-catching paint and furniture choices? Is it the small accessories that pull everything together? Or is it the way things are organized that introduces a sense of calm control, contrary to the chaos of the modern world? Interior decorating is a way to capture the value of a home and highlight its best features while creating a space that showcases the style of the individual. Here are some inspiring interior decorating tips from New Zealand’s furniture experts. While minimalism is by no means a new concept, it’s gained traction over the past few weeks due to the growing popularity of Netflix’s Tidying Up with Marie Kondo. This show has people flooding thrift shops with donated goods that no longer “spark joy” but often overlooks an important aspect of the home: the furniture. 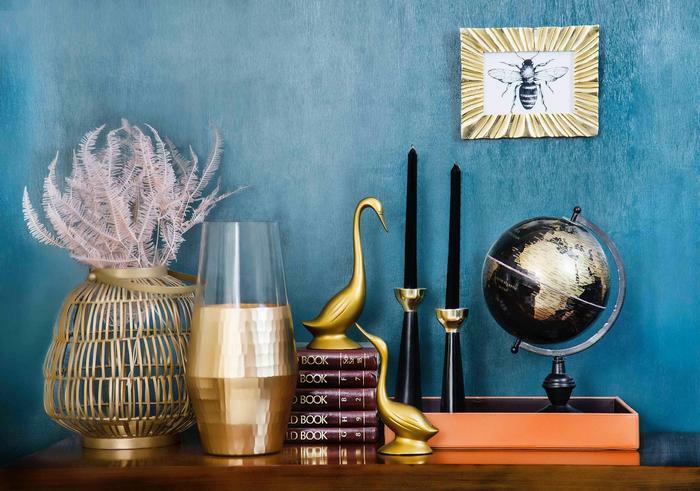 It’s time to move away from bulky surfaces that end up as makeshift storage for mail and trinkets, and focus on clean lines and purposeful arrangements. Bulky, overpowering couches are out and small, lifted couches that show space underneath are becoming increasingly popular. Re-evaluate the necessity of clunky end tables, looking at multipurpose items like floor lamps with built-in shelving. A color change can completely revitalize a room and change the mood one is trying to convey. Dark, rich colors like navy blue create a powerful impact that can be skewed toward regality and elegance or masculinity and strength. Terra cotta captures the growing Tex-Mex trend that invokes feelings of a hacienda, with many choosing to add both living and printed cacti to their decor scheme and bold patterns. For those looking for something lighter and more neutral, New Zealand design experts are bringing back a subtle version of dusty rose that leans more toward beige rather than the powerful pink undertones. This color captures natural light and is ideal for those who plan on selling their home in the next few years. Leather furniture is versatile and easy to manage, which might be why it’s making such a strong comeback this year. Whether opting for a minimalist approach with simple black leather furniture or the Tex-Mex bold browns, incorporating leather furniture elements will help find a balance between fashion and function. For those who aren’t ready to make a significant investment in a leather couch, incorporating purposeful leather elements – such as storage ottomans – is a simple way to capitalize on this trend. In a world where environmental consciousness reigns supreme, more people are incorporating natural elements into their homes. This refers to natural wood, stone accents, and even luxurious green walls that create a miniature rainforest inside. Though it may seem contradictory, this ties in with the growing industrial decor trend. Uncovered steel and brick are balanced by greenery for an approach that’s both minimalist and intricate, modern and vintage. Some designers are even going as far as to represent the elements in every room. Candles or a fireplace showcase fire and warmth, windows and airy fabrics represent air, stone and plant life stand for earth, and hues of blue and subtle water features capture the water element. A growing trend in New Zealand design that is likely to resonate across the globe is the focus on local and authentic pieces. Many design trends over the next two years are expected to continue moving backward, highlighting the best of the art deco era and early 1970s. Designer pieces from local experts will capture these trends in a way that’s built to last while encouraging the local economy and sparking conversations with guests. New Zealand is ahead of the curve when it comes to interior design, capturing the latest trends and inspiring the trends of the future. Minimalism and a balance between modern and vintage will reign supreme in the coming year.